That defending national champion and third-ranked UCLA defeated No. 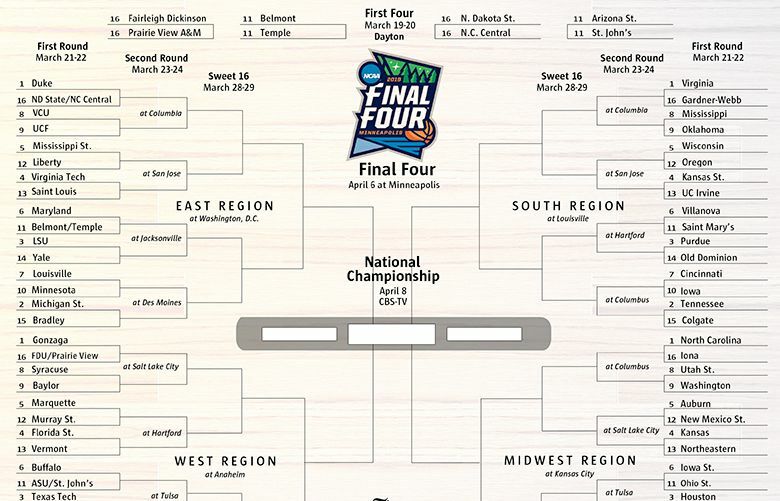 15 Washington 197.60-196 almost seemed beside the point in a day hailed as great for the sport. It didn’t matter that there was snow on the ground and more coming. 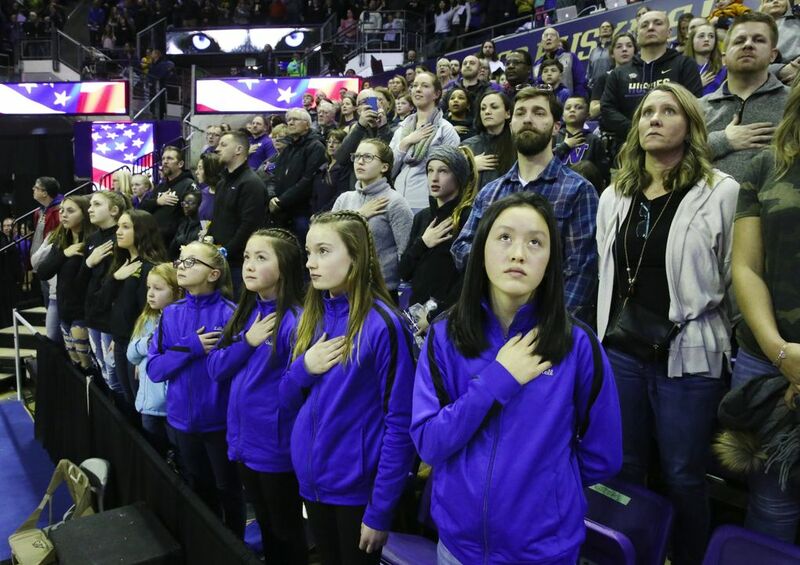 Fans came in droves to Alaska Airlines Arena on Sunday afternoon. 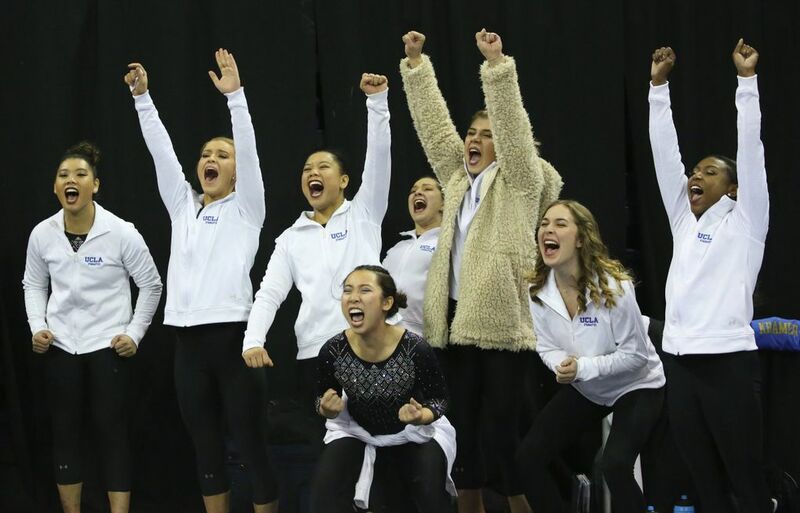 They came to see two of the top gymnastics teams in the country, they came to see a pair of Olympic Gold medalists and they came to see Katelyn Ohashi, the internet sensation. That defending national champion and third-ranked UCLA defeated No. 15 Washington 197.60-196 almost seemed beside the point. 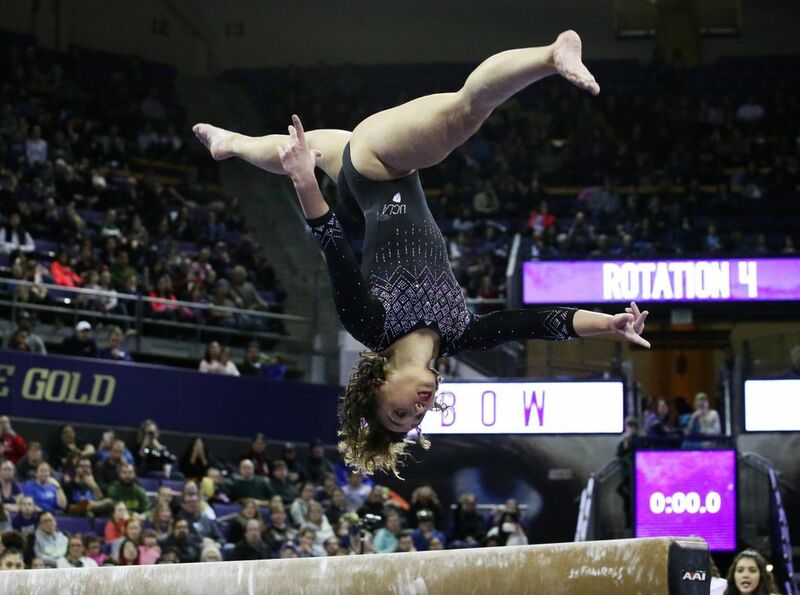 That is because on this day when the arena was nearly full — no one remembered ever seeing a bigger crowd for a UW gymnastics meet — and the cheering was for both teams, the sport was the big winner. “I think this is the biggest crowd we’ve ever had, and it’s what we’ve been pushing for every year,” Washington coach Elise Ray-Statz said. “It’s amazing that it came to fruition. Everyone felt it in there. It was amazing. 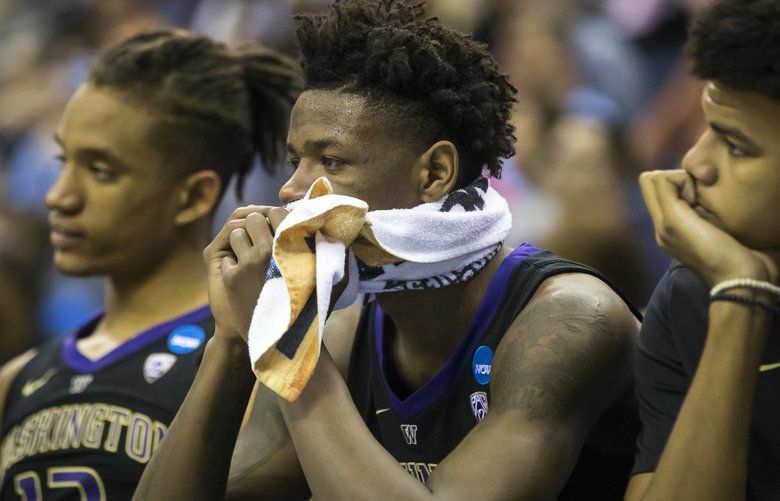 A UW official said the paid crowd was 7,200, but it looked much higher with only a few empty pockets in the 10,000-seat arena. It was almost a perfect day for UCLA senior Ohashi, the Newcastle native performing in front of family and friends. 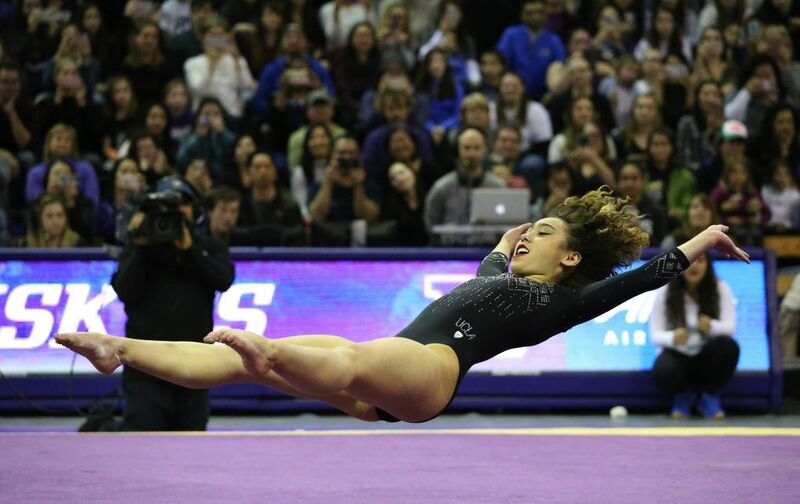 The perfect 10 she scored on her floor routine last month has been viewed more than 113 million times. Now she has another 10 for the world to watch, bringing the crowd to its feet with her energetic and flawless routine. As the final UCLA performer of the meet, she scored a 9.975 on the balance beam, tied for the best. Ever the perfectionist, Ohashi wasn’t satisfied. “Beam could have been a little more solid, but you can always improve, right?” she said. Not in her floor routine, and she wasn’t the only gymnast to score a 10. 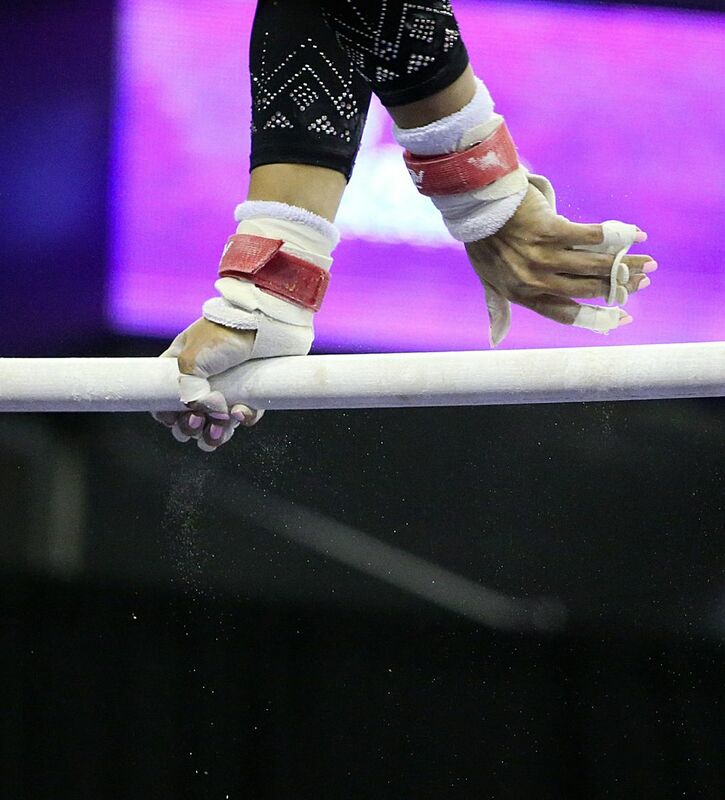 UCLA junior Kyla Ross, who won a gold medal in the 2012 Olympics as part of the U.S. team, was perfect with her vault. She was near-perfect on the beam, tying Ohashi for the top score, and she won the all-around competition with a 39.775. Bruins junior Madison Kocian, who won a gold with the U.S. team in the 2016 Olympics and an individual silver medal in the uneven bars, won the bars competition with a 9.925. Ross and Kocian are the first Olympic gold medalists to compete for an NCAA team. They helped carry the Bruins to a fairly easy win, but the Huskies had several good performances as well. 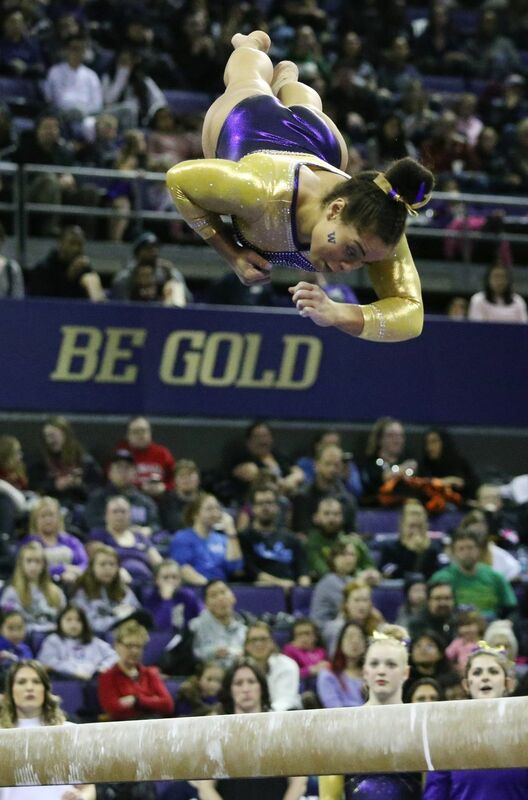 Evanni Roberson from Puyallup competed in all four events for Washington and had an all-around score of 38.o25. 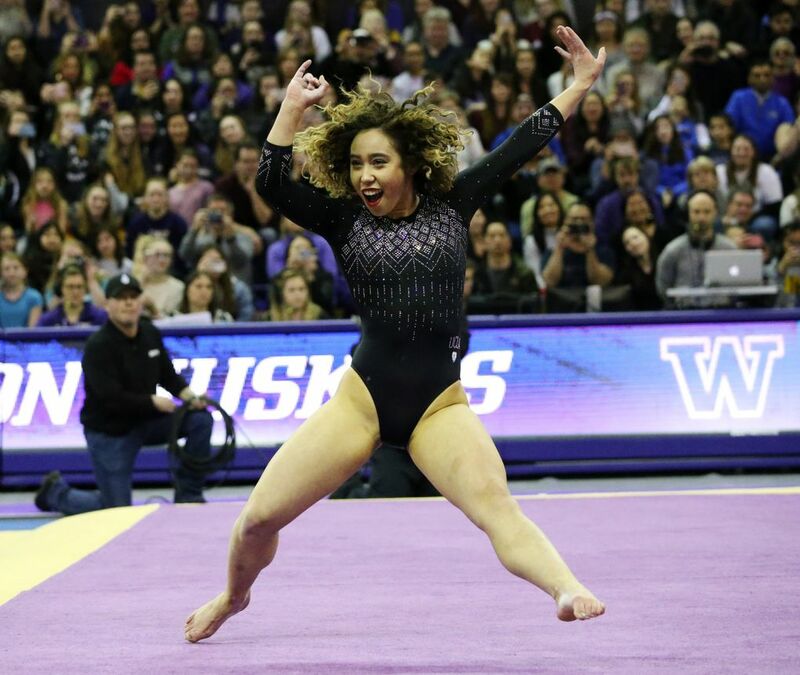 Maya Washington had the best event score of the meet for the Huskies, getting a 9.90 in the floor exercises. 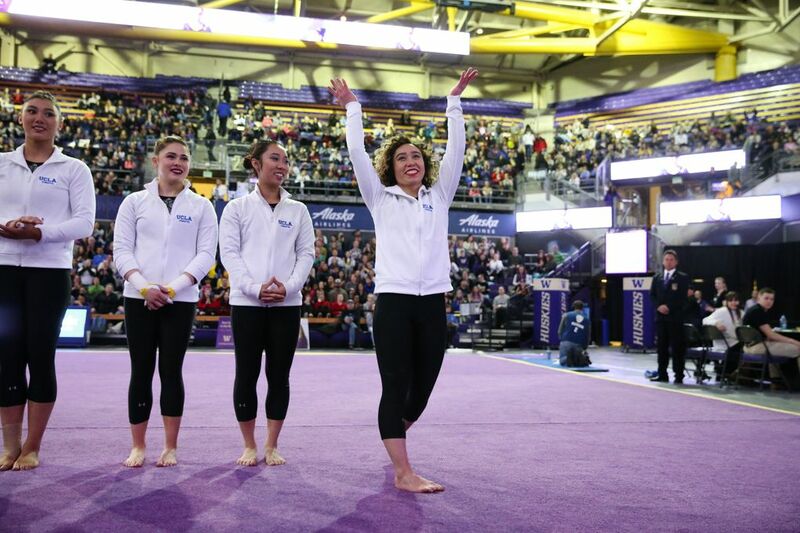 The Huskies’ 196 points was their second highest among their five meets, but the coach thought it could have even been better. But no one seemed to leave unhappy. It was a good day for gymnastics, which has been embroiled the past year in a highly publicized sexual abuse scandal at the highest level of the sport.